Though Ismail Kadare has returned to his original UK publisher, Harvill (now Harvill Secker) with A Girl in Exile, the translation of his work into English continues uninterrupted. Even better, this is the fourth novel John Hodgson has translated directly from Albanian (rather than via French as his work once reached us), with a fifth to follow next year. 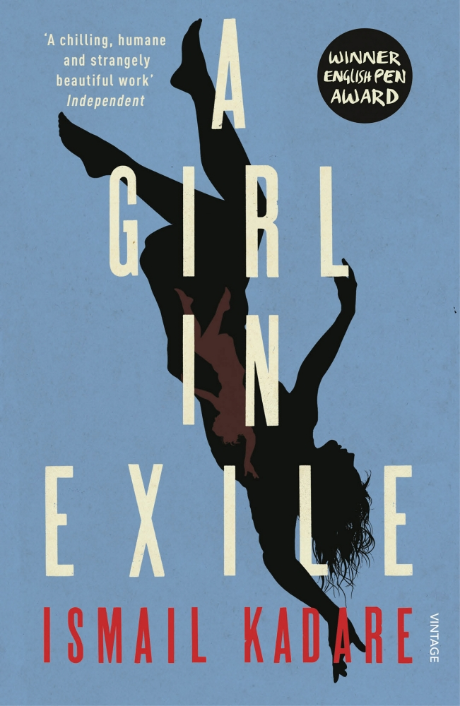 A Girl in Exile is a recent novel, having first appeared in 2009, shortly after The Fall of the Stone City (translated into English in 2012). His last novel from Canongate, Twilight of the Eastern Gods, was a much earlier work from the 1970s, as is his next book, The Traitor’s Niche. Deciphering any development in his writing is not straight forward, therefore, though Kadare himself seems happy to move between historical novels and those that deal with Communist Albania. A Girl in Exile is one of the latter, exploring love under the pressure of a police state. When they ask him about a ‘girl’ he assumes it is Migena, but, after a brief conversation at cross purposes, it transpires that they are referring to a girl he has never met on the basis that he once signed a book for her: “For Linda B., a souvenir from the author.” He has never met her because she cannot come to Tirana, she lives in ‘exile’, interned far from the capital; the book was signed at Migena’s request, and now her friend has killed herself. Kadare also, as so often, refers to Greek myth (though perhaps he wouldn’t see it as ‘Greek’), in this case the story of Orpheus. One might even see Stefa, as a writer, attempting to charm Cerberus (the state) in order to recover Linda from the dead – that is to recover the meaning of her life. Her body, too, remains in exile, her internment as applicable to the dead as to the living. A Girl in Exile is a wonderfully layered novel. The truth regarding Linda’s life (and death) is slowly revealed – each time Stefa feels he has grasped it, a further detail suggests that he is no closer to the truth. Kadare’s use of myth provides a further layer, a novel in which we have the recreation of a particular time and place but also the sense of something universal, a novel of love and loss – Linda having lost her life long before she took it. As Ismail Kadare’s name increasingly gets mentioned in connection with the Nobel Prize, it’s fortuitous that Canongate should publish one of his early novels, Twilight of the Eastern Gods, in English for the first time, which takes as one of its one of its central events Boris Pasternak being awarded the Prize in 1958. Much has changed since then – no need now to debate whether Kadare is a dissident or not – though it’s interesting that Kadare should focus on Pasternak , a writer who was criticised by both the Soviet Union and Solzhenitsyn, just as Kadare has been criticised for compromise with the Albanian regime before his eventual exile. 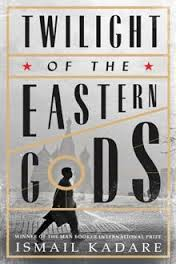 Twilight of the Eastern Gods is translated from the French by David Bellos – as Kadare’s complete works were published in both French and Albanian in 2004, it seems that this will now be the journey they make into English. When he does finally leave her he does so very much in the manner of Konstandin, perhaps realising that he must return to his homeland. You can’t help but think that the promise which is greater than death also relates to the idea of writing. There is also a large cast of characters I haven’t mentioned to poke fun at, and an outbreak of smallpox to be dealt with. It probably isn’t the best introduction to Kadare’s work, but is a fascinating addition to what is available in English, particularly for those interested in Kadare himself, providing insight, as it does, to his early life. 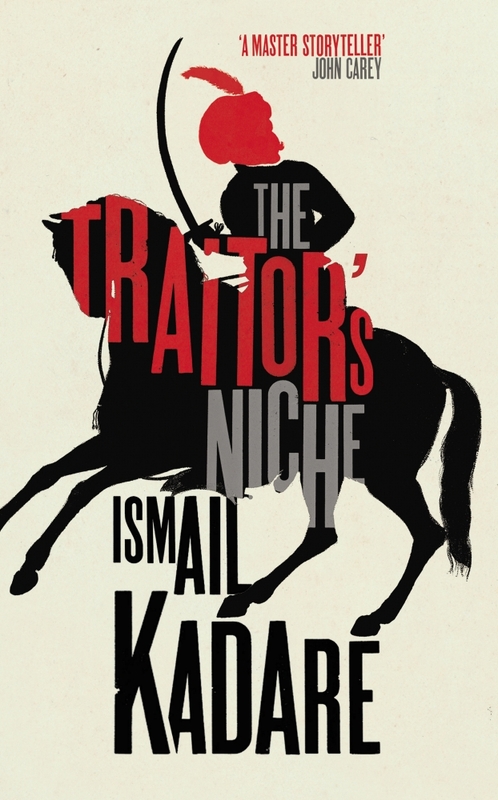 You are currently browsing the archives for the Ismail Kadare category.